Geneva, September 15th, 2009 – The exclusive luxury watch brand, Cabestan, supports the charity auction “Only Watch 09“under the patronage of S.A.S Prince Albert II of Monaco. 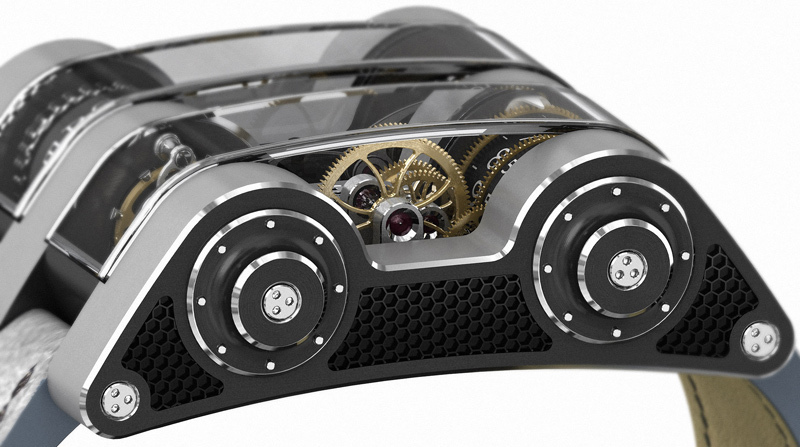 Longtime considered the “Bad Boy“ of the luxury watch industry in Switzerland, Jean-François Ruchonnet, Creator of the Cabestan Winch Tourbillon Vertical, places charitable contributions at the heart of his endeavours. Cabestan will be present at Only Watch 09 on the 24th of September in Monaco. 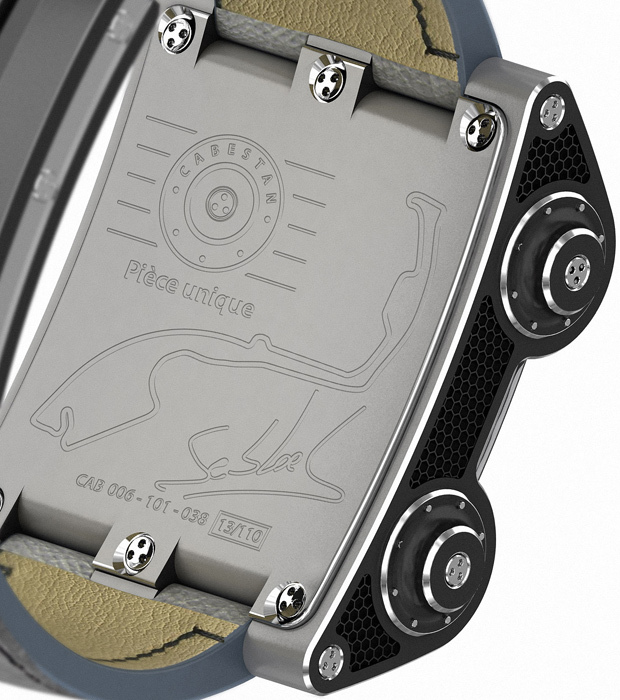 A unique timepiece signed by five-time world champion rallye driver Sébastien Loeb will be sold to benefit research for Duchenne Muscular Dystrophy. The support given by Sébastien Loeb alongside Cabestan comes in a context of the friendship between the world famous driver and the creator of Cabestan. Passionate about race cars, Jean-François Ruchonnet has for many years been involved in the world of automobile racing, driving on some of Europe’s most famous circuits and participating in the Radical European Masters. In 2011, Jean-François Ruchonnet hopes to participate in the famous 24 Hours of Le Mans. 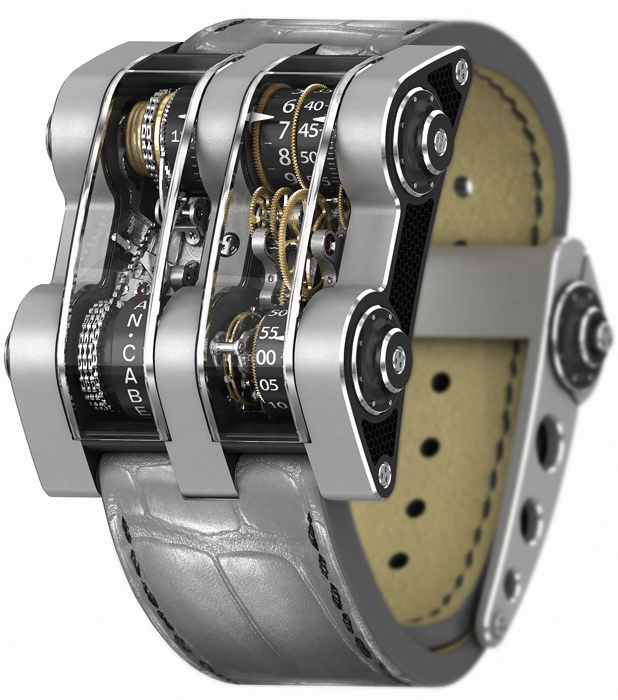 “The future of luxury watchmaking can be found in its past. Historically, watches were created, crafted and assembled by a dedicated team of highly skilled watchmakers. It was a time when the craftsmanship involved in watchmaking was synonymous with high quality and closeness to the client. Cabestan has adopted these same values, those of luxury watchmaking responding to the desires of a highly demanding clientele. There is no doubt that this unique timepiece will seduce the most discerning collectors present at Only Watch 09“, commented Jean-François Ruchonnet. Actively involved in charitable actions for children, Jean-François Ruchonnet’s partner at Cabestan, Timothy Bovard, has been a supporter of l’Association Petits Princes, an organisation that since 1987 has helped seriously ill children to realise their dreams in order to give them the strength to confront their illnesses. Working with Petits Princes for the last 10 years and member of the Board of Directors, Timothy Bovard has helped the association through his involvement, donations and the support of CPI, Europe’s leading book manufacturer, of which he was the founder and former president. High quality grey crocodile leather with dark grey stitching. Handmade edges folded back and sown. A veritable object of fine mechanical art, the Cabestan Winch Tourbillon Vertical, from the moment of its creation, is heralded as a masterpiece of ingenuity, combining elegance, innovation and a decidedly strong character. Its creator, Jean-François Ruchonnet, is quickly joined by Eric Coudray, master watchmaker known by collectors around the world. Together, they complete the development of this revolutionary movement. Pushing the limits of watch complications to the extreme, the Cabestan is a vertically oriented movement with no less than 1350 components. A tremendous feat that only the combined expertise of Jean-François Ruchonnet and Eric Coudray could achieve: the integration of a vertical tourbillon, the development of a constant force movement using a miniature chain and “fuse” that makes it one of the most precise watches in the world, and the extraordinary design with vertical wheels and bridges, and twin thermoformed glasses. In order to clear the technological hurdles encountered, Jean-François Ruchonnet, since the beginning of the project, saw the need to have his own manufacture. Situated in L’Orient, in the Vallée de Joux, Cabestan’s manufacture boasts a team of six highly qualified watchmakers and is one of the rare firms to be recruiting new staff in this period of financial uncertainty. Today, the Cabestan Winch Tourbillon Vertical can be proud of the fact that it has seduced watch professionals internationally and that it has given collectors of exclusive watches around the world a reason to dream. More and more collectors are discovering and acquiring this timepiece that breaks with the traditional constraints of watchmaking design. Completely authentic, the Cabestan by Jean-François Ruchonnet is a masterpiece of mechanical timekeeping, entirely made by hand and corresponding to the very special demands of discerning collectors and owners of exceptional watches looking for timepieces with the highest levels of quality, performance and design. The future of the brand is already charted and well underway: a Cabestan chronograph with an ingenious system of micro-hydraulics that controls two tourbillons, vertical naturally, and a writing instrument incorporating the same hydraulic technology developed by Jean-François Ruchonnet.